Curiosity turned into passion for Rachel Brown and her husband, Jimmy. They began exploring organic farms and community supported agriculture in the early 2000’s. A love of local, organic food and the associated health benefits spurred the creation of Brown Box Organics. The Browns have dedicated themselves to providing real food to the doorsteps of real people throughout the Treasure Valley for over 11 years. A mindset geared on personal health and environmental consciousness coupled with a desire to help others allowed this duo to develop a successful business around what they love: good food. A variety of seasonal organic produce boxes are available for those of you looking to take the guesswork out of what products will be best at any given time of year. However, if you’d like to be a bit more decisive about the foods you receive, there is also an incredible selection available ala carte. From meats and dairy products, to artisan crafted coffee, there is truly something for everyone. Working with over 50 local farms, ranches, and food artisans allows Brown Box Organics to be free from GMO’s to allow FREE delivery within their designated delivery area. 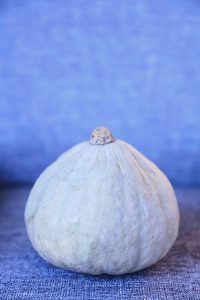 If you’re looking for blue food without any artificial color or additives, check out a crowd favorite: Blue Hubbard Squash. It’s an heirloom variety winter squash from the Hubbard family and has a beautiful blue-grey exterior and brilliant orange interior. This squash is not only aesthetically pleasing, but adaptable to many different recipes and jam packed with important nutrients. Check out Brown Box Organics and get your hands on one today! Josie and Hector Garcia began with one waffle iron and the understanding that with hard work, anything is possible. They carry that sentiment today and share it with their children and employees. Their story starts in 2012 and progresses to their current brick and mortar location in the heart of downtown Boise. Their community presence is strong, and they pride themselves in establishing relationships with their vendors and farmers. Waffle Me Up’s menu contains an array of unique and delicious options. Whether you’re interested in a sweet and savory rendition of a traditional waffle with bacon and basil, or prefer ‘The Original’ liège waffle dusted with powdered sugar, you can rest assure you will be satisfied. Their handcrafted, high-quality, locally sourced selection is guaranteed to tantalize your taste buds and leave you wondering when the contents of your plate disappeared into the blue! 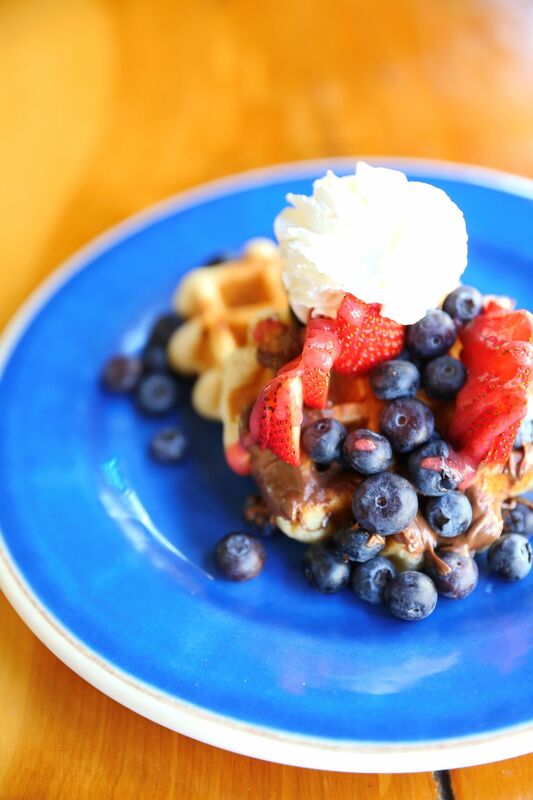 Speaking in the hue of blue, Waffle Me Up’s Red, White, and Blueberry Waffles are next level delicious! This dish is the perfect highlight of locally sourced fruits, light and crispy waffles, and a dollop of whip cream to top it off. 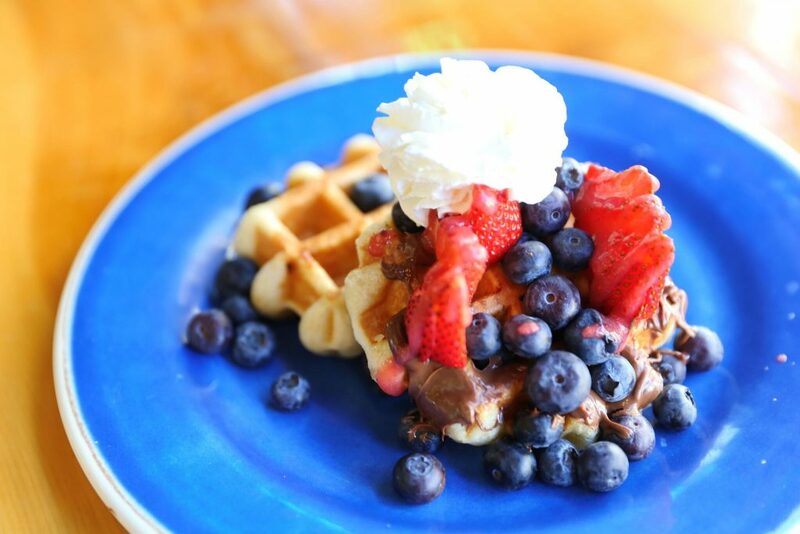 Wonderful food accompanies an environment saturated in good vibes at Waffle Me Up. Remember this place the next time you’re looking for an early morning treat. It takes a special kind of company to focus on and highlight the ‘Sweetest Things in Life’ (STIL), but that’s exactly what The STIL Ice Cream Shop does. 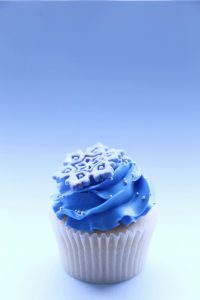 Everyone loves a sweet treat, and The STIL is on a mission to connect you with the sweetest thing in your life. Bringing together family, friends, and loved ones in the name of all things sweet reminds us to cherish all of the best things this life has to offer. The STIL has an incredible emphasis on giving back to our community. They love Boise as much as all of us, and do their best to represent its people, culture, outdoor recreation, art, and food. Their specialty is creating artisanal, hand-crafted, and utterly delicious ice cream. Their core values of fun, service, quality, community, love, authenticity, connection, and pride speak volumes to their embodiment of sweetness. Plus, their dairy free and vegan options are sweet to our animal friends as well! The STIL truly takes service to the next level, by offering libations to perfectly accompany their ice cream offerings. Unique and creative flavors are regularly updated to match available beer and wine selections. 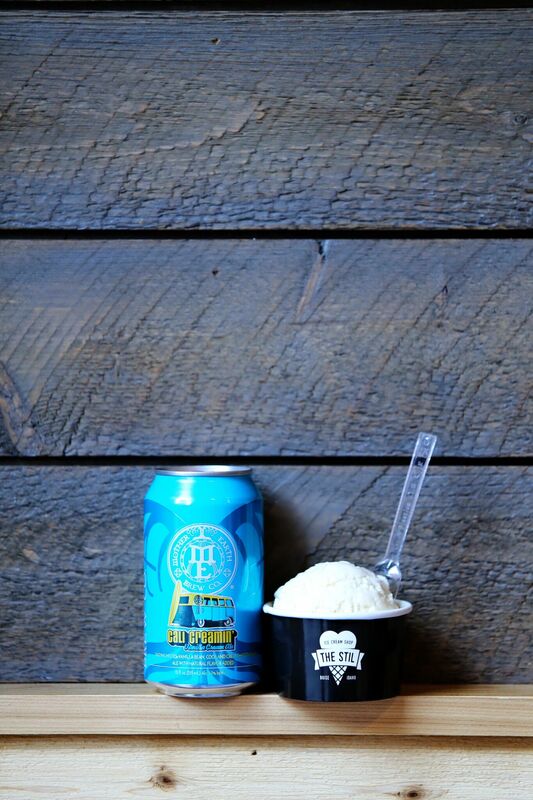 One of our favorite drinks is the Cali Creamin’ Cream Ale from Mother Earth Brewery. This cream ale is the perfect pair for a simple vanilla cone and its pale blue can will leave your eyes as happy as your taste buds. If you’re ready to indulge your senses and immerse yourself in a fun-loving and happy environment, stop in at The STIL Ice Cream Shop today. Boise Cakery Amazing custom cakes, exemplary service, and attention to detail is what this Boise Custom Cake Bakery provides. Shantelle Waynetska has filled the last eight years of her life with hard work and a dedication to creating high quality, custom cakes. Her story starts with a bundt cake adorned with a bouquet of yellow daisies and a precious moments figure (a birthday cake for her eldest child’s second birthday), and transforms to a successful business creating upscale, custom cakes. Her experience spans a previously offered culinary program at College of Western Idaho, a franchised baking shop, multiple fine dining restaurants, and a local custom cake shop. In 2016, Waynetska stepped into her own cake adventure, Boise Cakery. She currently operates from her home kitchen providing original, baked fresh recipes. Each of her buttercreams and filling are made to order, ensuring each and every cake is as delicious as possible. A variety of flavors, fillings, and cake creation options will give consumers the ability to personalize their cake to match exactly what they’ve envisioned for their special event. If you’re interested in seeing a unique expression of Shantelle’s creativity and new, delicious flavor combinations, you can check out the Flavor of the Month Club. With two or four-month subscription options and quantities of four, six, or twelve cupcakes available, you can choose what best fits your needs. We’re loving this delightfully turquoise cupcake in the flavor combination ‘Birthday Cake.’ Check out Boise Cakery to lay out your very own cake blueprint for an upcoming event! A sense of pride and a hefty reminder of your purchasing power comes complimentary with each bottle of this naturally alkaline spring water. Our theme of blue beauties continues with the widely available, environmentally conscious, and growth generating business, Proud Source Water. With the addition of online purchase and delivery services, it is easier than ever to get your hydration from this progressive company. Sustainability permeates all actions at Proud Source. Their state of the art production facility utilizes a gravity fed water supply, eliminating the need for water transportation, and a backhaul process ensuring each trip to the plant is meaningful and brings needed goods. To cut back on electrical consumption the facility includes roof skylights and radiant floor heating to quell the high elevation conditions. Their utilization of aluminum bottles ups the rate that consumers recycle, and boasts an unlimited recyclability, meaning it can be used again and again. The core values of Proud Source Water go further than an environmental consciousness and responsibility. Inspiration can be found at every corner of ‘Small Town, USA’. Hard work, opportunities, and mountain air are at the base of Proud Source Water at their location in Mackay, Idaho. From the local employees to the mayor of the city, there is an overwhelming support of this industry in this small town, and this company is dedicated to increasing the economic prosperity of it’s citizens. 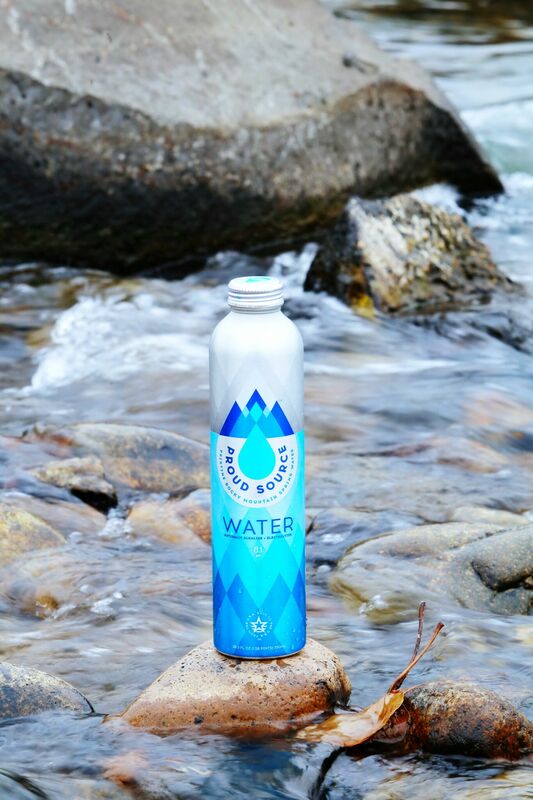 Whether you care about supporting the environment, helping local small towns, or simply ingesting high quality alkaline spring water, then Proud Source Water is for you.